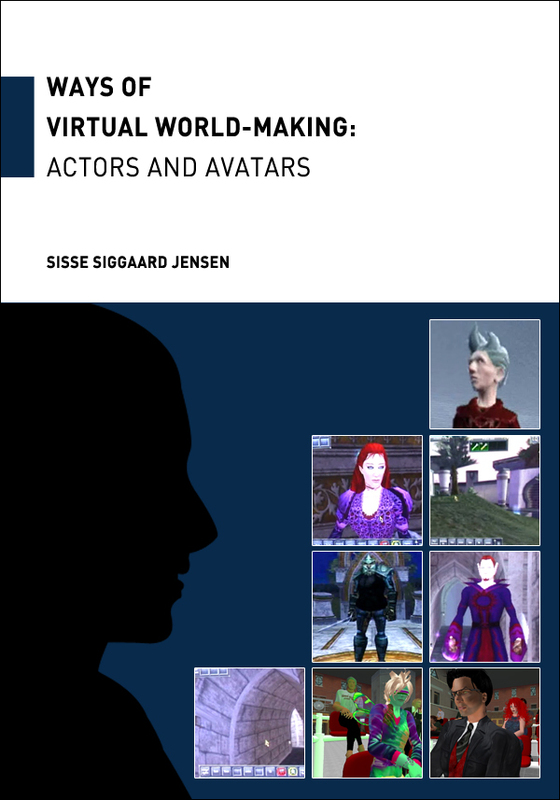 Summary: The dissertation Ways of Virtual World-making: Actors and Avatars is about some of the many choices that lead human actors to engage with large online roleplaying games and social virtual worlds. The study addresses questions about how the choices made make sense to human actors in their daily life and communication. In several case studies, we follow the choice and co-design of virtual world and avatar, the social relationships formed, the expressions of self and the navigation through physical and virtual worlds. The cases have been followed over time and with the methods of virtual ethnography and ‘in situ’ iterative video interviews. Thus, the choice of methods reflects the methodological approach of “following the human and nonhuman actors” in their daily life online as well as offline. The dissertation is published by Roskilde Universitetsforlag (Roskilde University Press), and you can buy it here. Read the first review on Marianne Riis’ blog. My doctoral disputats, “Sisse Siggaard Jensen: Ways of Virtual World-making – Actors and Avatars” has been accepted for a public defense for the doctoral degree Dr. Phil. at Roskilde University. Denmark. The defense will take place on Friday June 1, 2012 at 1 – 5 PM (GMT+1) in Biografen, Roskilde University, and it is streamed on the university’s website: ruc.dk as well as on this blog: worlds.ruc.dk. The opponents are: Professor Jay D. Bolter, Georgia Institute of Technology, Professor Andrew Burn, London University, Professor Kim C. Schrøder, Roskilde University (chair). Posted in Blog, Events, Presentation. Tagged with actor-network theory, avatar, EverQuest, Second Life, sense-making, Virtual World.